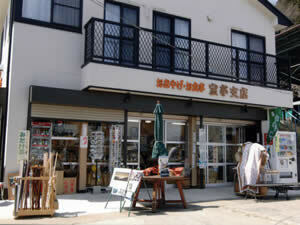 Takaratei-shiten is a small shop selling souvenirs, food and original picture postcards, located in front of the cable car station. 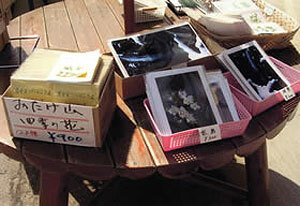 A small souvenir, food and picture postcard shop located right outside the cable car station, the gateway to Mitakesan. 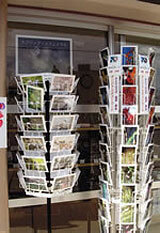 Takaratei-shiten prides itself on warm service and a lineup of original postcards and pictures of the wildflowers, scenery, wild birds and other Mitakesan wildlife that change throughout the seasons. 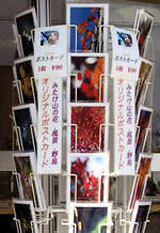 They also sell books about the flowers that bloom on Mitakesan.